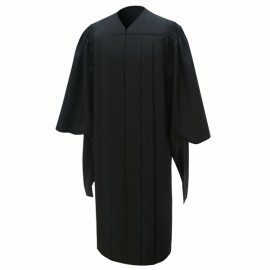 We at Gradshop are proud to offer the Master's Degree Gowns at excellent quality craftsmanship at affordable prices. The Deluxe gowns are fluted and features an oblong sleeve, open at the wrist. The oblong shape in square cut in the back, with the front section tailored with an arc cut. Although most prefer to wear the gown closed, academic protocol permits it to be worn open or closed. 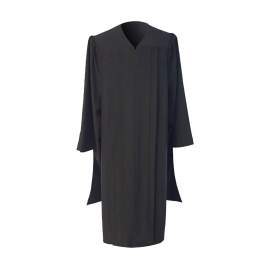 You will enjoy the durable material and comfort when wearing this academic gown. We have a full range of master's degree regalia and offer academic master packs to include the master's gown, academic master's cap, tassel as well as a deluxe master's cap and gown to include academic master's degree hood. to include We offer a variety of options when placing your order with great savings and delivery options to fit your requirements. Place your order now and enjoy your graduation ceremony in comfort.